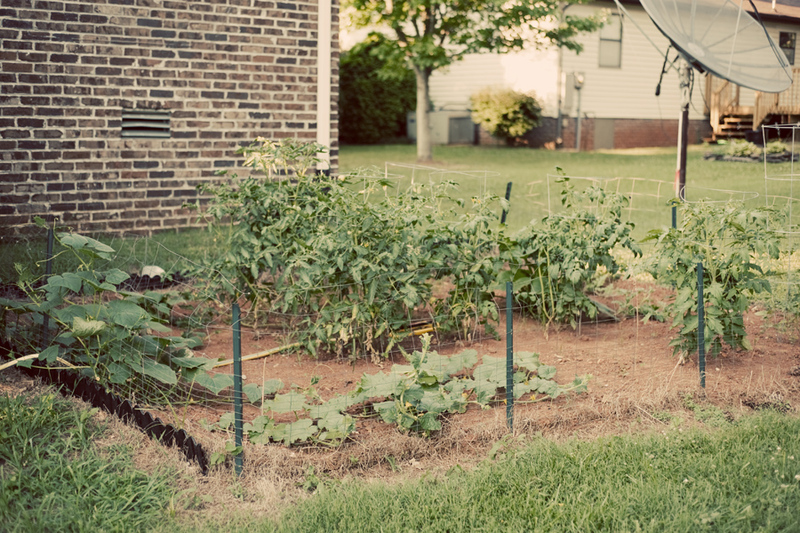 Gabby Dalton Photography - Knoxville Wedding Photography — Grow, garden, grow! I've been working hard at having a garden this summer, and it's actually going pretty well! Minus the fact that I overwatered at first and killed 6 out of 8 of my tomatoes... who knew water killed plants? Luckily someone gave me 6 more plants, so the garden isn't totally desolate in the center. On the menu this summer: tomatoes (not sure what kinds because I'm not that diligent), crook-neck squash, oodles of cucumbers, cantaloupe (spell checker had to help me with this one... I'm way out of practice at writing! ), watermelon, & carrots. Don't mind that giant satellite in the back... that's my neighbor's. We affectionately call him "Radio Man." And there are more antennas & wires on that house than there are on a fleet of news vans. 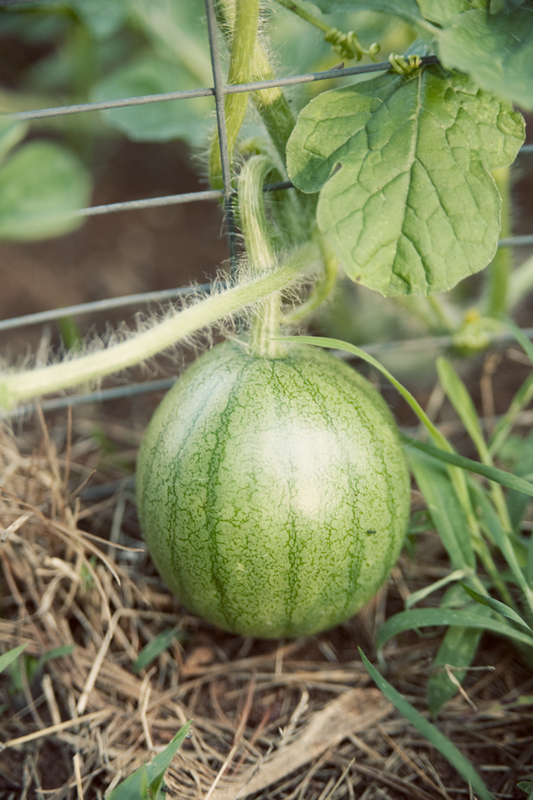 You put plants inside of a garden for a reason, but this little watermelon didn't get the memo. I don't think rabbits or other wild critters are interested in a melon, so he should be safe right outside the fence.